We're on a mission to help every student reach their full potential. Using technology and data-driven intelligence we deliver unparalleled personalized mastery which is humanly impossible to match by a teacher/tutor. 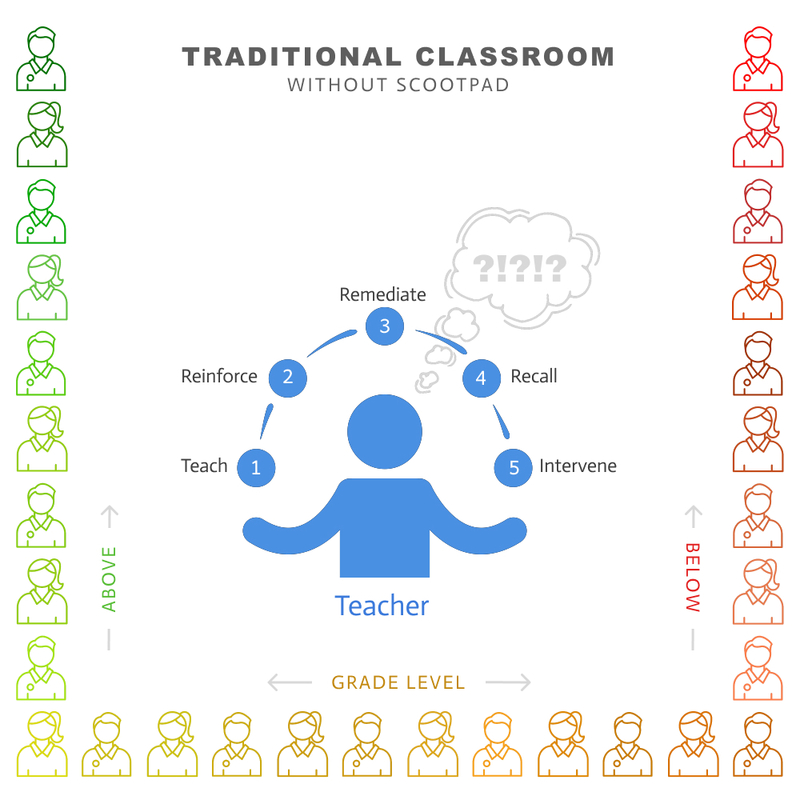 We built ScootPad when we desperately needed a tool to detect and fill knowledge gaps for our own kids. 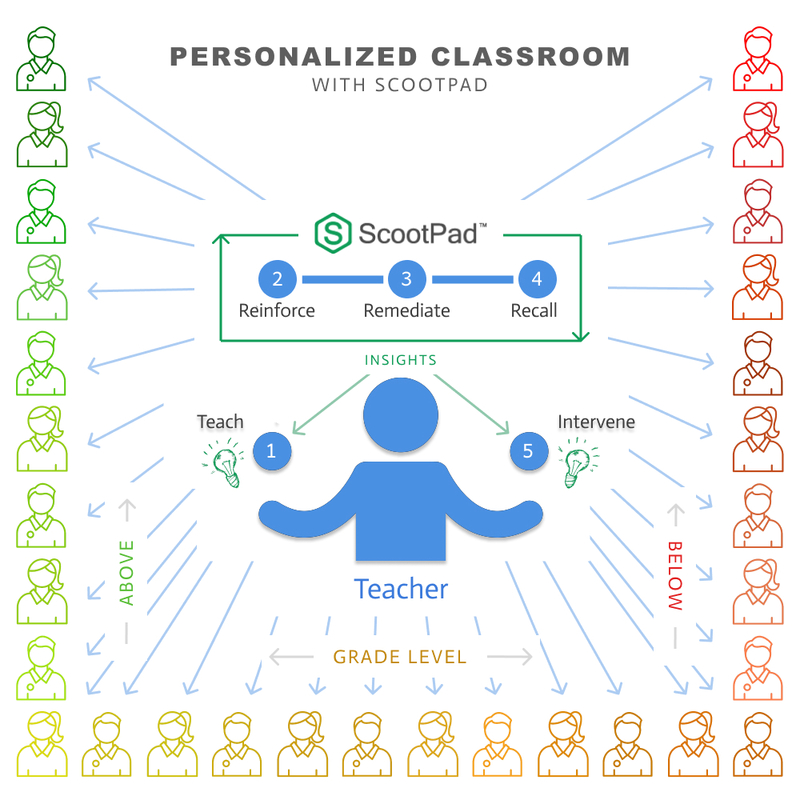 All kids deserve a smarter, data-driven learning tool - this passionate belief inspired us to start ScootPad. We take great pride in helping millions of students afford to learn better and faster using our platform. "Investing our personal savings, we launched ScootPad in 2012!" - Maya and Bharat. We're driven by our vision to create a better, data-driven learning environment for all kids. Bharat's entrepreneurial journey started at the age of 10 while helping his dad run a hospital in India. He spent the first 10 years of his career helping multinational companies streamline their business operations using technology. Inspired by his children and their school experience, Bharat started ScootPad with Maya in 2011. He focuses on product strategy, partnerships and growth at ScootPad. Before starting ScootPad, Bharat was the co-founder of RevStream (Revenue Optimization Platform) which was successfully adopted by Facebook, Yahoo, Twitter and Activision. Prior to that, Bharat led several technical and business transformation teams at various silicon valley based high-tech companies. He earned his Master's in Computer Science from Wayne State University (Detroit, MI). Bharat spends his free time running, hiking, and playing volleyball. Maya helped launch several startups over the span of her career. So when she saw how much her daughter hated the mindlessness of practice worksheets, she knew there had to be a better way. The idea of building ScootPad only grew with the overwhelming encouragement she received, leading to its launch in 2012. This start was quickly followed by teacher-led word-of-mouth growth. Maya is now focused on making ScootPad accessible world-wide to millions of teachers, students and parents. Before starting ScootPad, Maya was the CTO of 33across, VP of Engineering at Traffic Marketplace and Software Architect at Stanford University. She earned her Master's in Computer Science from Ohio University (Athens, OH). In her free time, Maya likes to hike, swim and read. The DNA that keeps us focused and drives us to work harder every day. We're passionate about helping teachers and students have the best learning experience possible. Innovation is in our blood. We continuously reimagine how technology can make a difference. We strive to stay curious, listen to those who know, and learn something every single day. Distinguished scholars and renowned researchers from Stanford University. Dr. Brunskill is a computer science professor at Stanford where she is part of the Stanford Artificial Intelligence Lab and the Statistical Machine Learning Group. Her research focuses on reinforcement learning in high stakes scenarios - how can an agent learn from experience to make good decisions when experience is costly or risky, such as in educational software. Her recent publications include: "The Misidentified Identifiability Problem in Bayesian Knowledge Tracing". Dr. Forssell is the Program Director for the Learning, Design, and Technology Master's Program at the Stanford Graduate School of Education. Her research focuses on the choices people make in learning about and using new digital tools, with a special interest in teachers as learners and the design process. Her recent publications include "Making Meaningful Advances: TPACK for Designers of Learning Tools". Dr. Tibshirani is a professor of statistics at Stanford where he leads research in data science and statistics and how they can bring scalable social change. He is passionate about combining math and computer science to solve real-world problems. His research focuses on the challenges with sorting through large amounts of data and separating out the consistent patterns from the noise. His recent publications include: "The Elements of Statistical Learning: Data Mining, Inference and Prediction". Successful business leaders and passionate education philanthropists. Brad serves on the boards of ScootPad, Tesla (TSLA), Adv. Auto Parts (AAP) & Cavium (CAVM). Ron is the CEO and Founder of GlobalLink1 Capital and was previously the CEO of Netlogic (NETL). Mike was the CFO at several companies including Netlogic (NETL) & Marvell (MRVL). Abe was a business operations executive at several companies including Netlogic (NETL) recently. John is a serial entrepreneur. He was the founder of Ranger Marketing GmbH (Europe). Roland was a legal affairs executive at several companies including Netlogic (NETL) recently. Kelvin was a business development executive at several companies including Netlogic (NETL) recently. Join us in our mission to create the future learning platform! Open and collaborative team environment with continuous learning at the core. Creativity, risk taking, and laser focus on getting things done. Talented colleagues, exciting problems to solve and freedom to implement your ideas. Send us your resume and a cover letter.